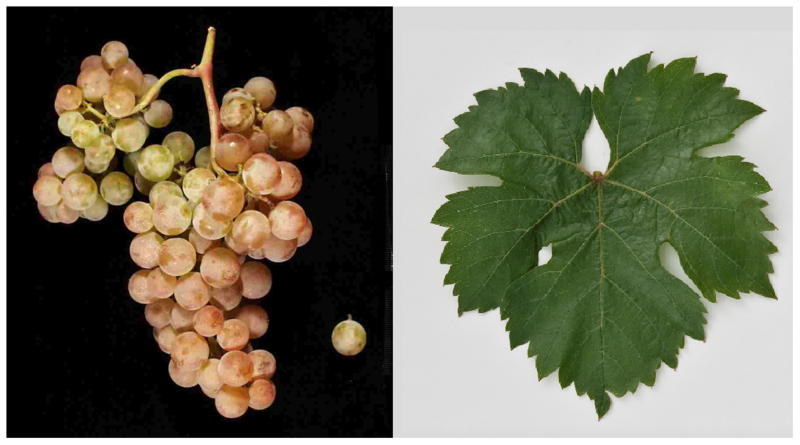 The white grape variety is a new breed between Irsai Olivér x Red Traminer ( Gewurztraminer ). The name means "Spicy from Cserszeg" (wine community on Balaton / Lake Balaton). The crossing took place in 1960 in Hungary by the breeder Karoly Bakonyi. Of the variety protection was granted in 1982. The medium maturing, high yielding vine is resistant to frost and Botrytis and produces fragrant, fine-sour white wines with subtle nutmeg, Above all, she is in the vineyards Hajós-Baja and Pannonhalma-Sokoróalja grown. In 2010 she finished in Hungary altogether 3.609 hectares of vineyards (statistics Kym Anderson ). In the world varieties ranking she is ranked 131th. This page was last modified at 14 January 2018 at 18:18.